RADISH is a women's lifestyle brand weaving a world where vintage, art, film, music and wonder meet. Our pieces are one of a kind – timeless silhouettes featuring original, bold colourful patterns and magpie-like embellishments. Channeling the spirit of the RADISH muse, our launch collection is based around our favourite and dream dresses - items made to treasure. 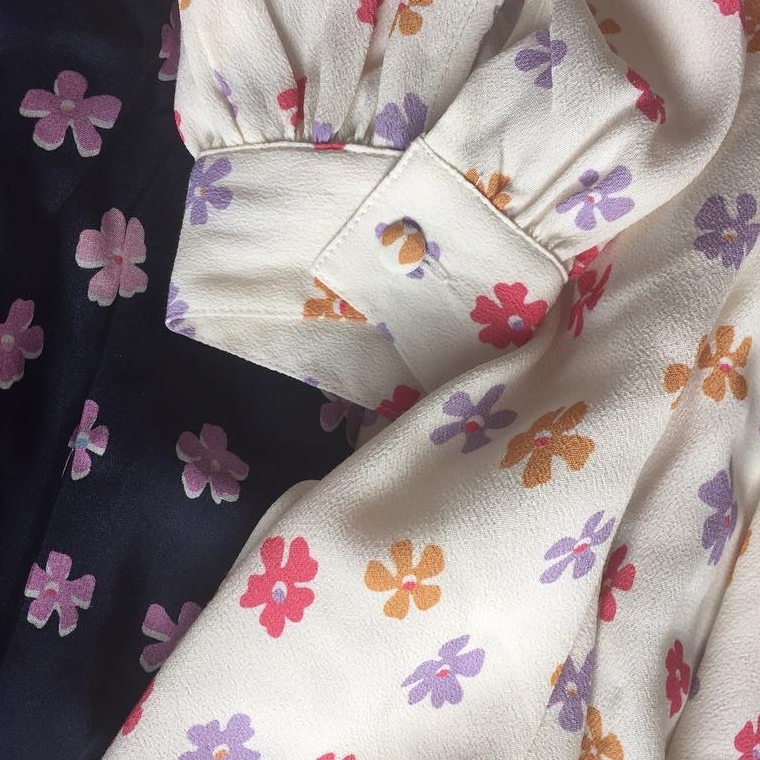 Classic vintage 60s and 70s block designs but with a RADISH twist; High collars, playful touches and flattering cuts; Unique prints and tactile fabrics that catch the eye. Pieces to love, last and dream about. We collect to create - every single piece from our launch collection has been inspired by an obsessive love of fashion, art, music... all catalogued in well-loved, cherished scrapbooks so no detail gets missed. Through our scrapbooks and collecting a girl and a world started to appear. The colours became bright, patterns and prints started to emerge. Until it all became impossible to ignore and RADISH emerged, dancing on the table. Inspired by our favourite vintage finds but with a RADISH twist. Flattering cuts and fits to make you empowered, free and ready to take on the world. Beauty is a piece well crafted. For the individual to feel truly individual. Bold, bright and playful in everyway. One of a kind pieces to be treasured. Its all in the details - tactile fabrics, carefully chosen embellishments and stitching. Fringing or a tassel - made to move and twirl. RADISH defines her own beauty; its not just about being pretty, its about being interesting and having something to say. RADISH is for life's introverts, extroverts and disco balls who make everything more beautiful.